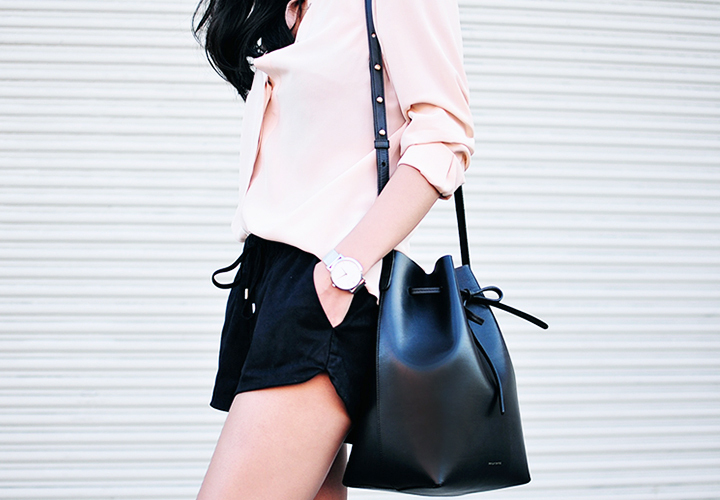 Love the top paired with all the black pieces. Really cute look! 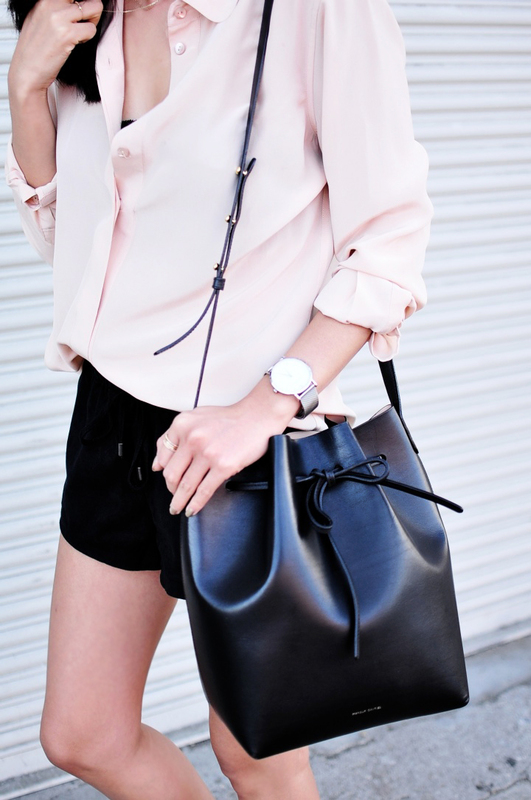 Black and blush is such a pretty combo. 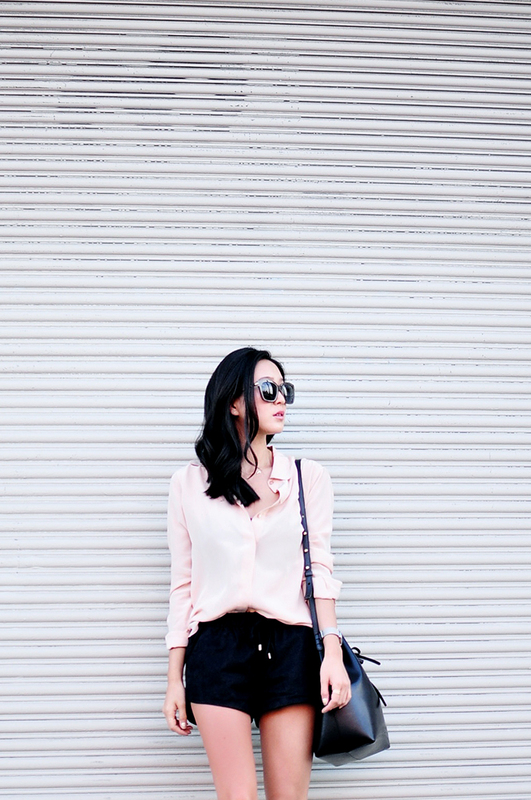 The Everlane blouse looks really pretty! I just ordered the Mansur Gavriel in the tan color. Hoping it's not too big on me since I'm on the petite side. It looks amazing on you. If you don't mind my asking, how tall are you? 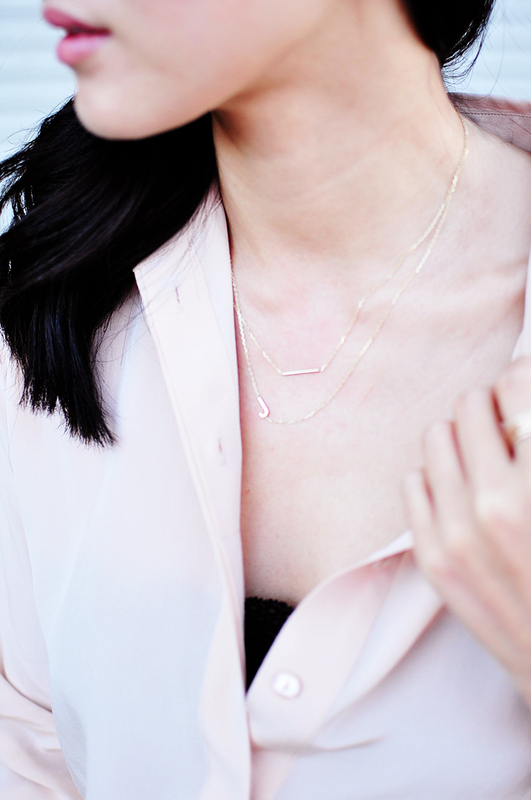 By the way I'm so happy to have discovered your blog and your beautiful style! I actually discovered it because I was googling pictures of the large Mansur to see how big it looks on people! But I'm a new fan now =).